Busy Times at North Bank! Greetings from North Bank Lodge! It has been quite a busy few weeks at North Bank! Since my last post, we've had quite the flurry of activity with our three candidates making quite a bit of progress on their travels in Masonry. At our February 5, 2012 stated communication, Brother Kurt Gazow received the Lewis Jewel from North Bank Lodge. The Lewis Jewel is awarded to the son of a Mason in good standing, displaying both their names and the dates of their entry into Masonry. The jewel was pinned on by Kurt's father Eric, an active member of Portland Lodge #55 in Portland, Oregon. Kurt's mother was also in attendance for dinner at the North Bank Ladies Dinner, making it an even more special evening. At the February 5 communication, Brother Erik Erickson delivered the Master Mason Posting Lecture in open lodge with the assistance of WB Frank Moxley; in addition, Brother Anthony Crawley returned his Fellowcraft Degree in Lodge in an excellent manner. 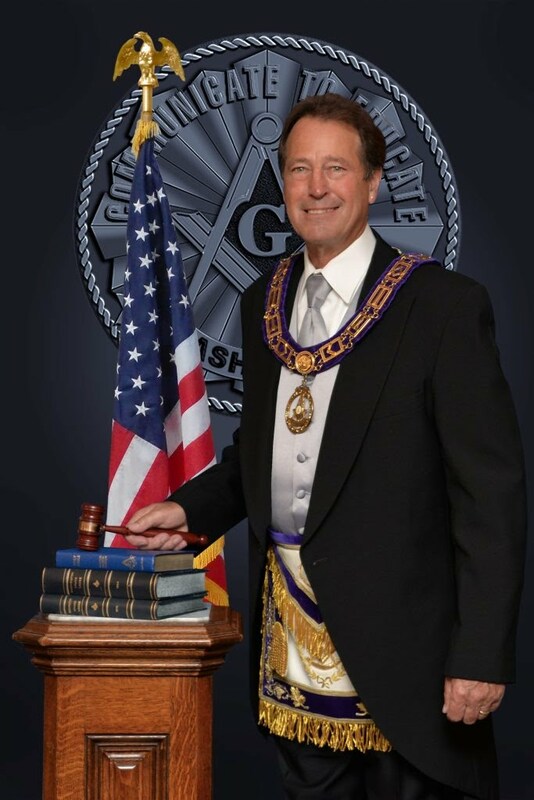 Directly thereafter, the planning began for Brother Crawley's Master Mason degree, which occurred on March 19, 2012. The degree team did an excellent job, as ever, in welcoming our newly raised Brother to the sublime degree of Master. It hasn't been long since our Brother Art Liss was raised; a quick study, he was ready to return his Master Mason degree in Lodge at our last stated communication. At our last communication on April 2, 2012, Art, with the assistance of WB Frank Moxley, both pictured here to the left. Art has been, and continues to be, a very energetic member of North Bank, participating in many events. Indeed all of our candidates this year have been regularly attending lodge, as well as lodge events. Truly a great group of men! In addition to all of this, Brother James Copeland returned his Fellowcraft degree in open lodge on April 2, 2012. Jim has been quite busy lately, recently completing a college degree, in addition to all of his Masonic education, he has been busy at his Coast Guard station! Bro. Jim did an excellent job on his posting lecture, assisted by his coach, VWB Hunter Greening. The lodge began planning for the third Master Mason degree for the lodge this year. In addition to all of this, the lodge conferred a singularly unexpected honor on the writer of this article At our April 2, 2012 communication, the officers of North Bank Lodge had a little surprise for Brother Kurt Gazow. Midway through the Lodge meeting, a very surprised Kurt was escorted to the East by the Senior Deacon. At that time, Worshipful Master Mac Parker presented Brother Gazow with the Hiram Award, honoring the work done for the lodge over the past year. Speaking for myself for a moment, I am still very humbled and honored to be recognized by the Lodge in this fashion. It is an honor I hold very close to my heart, and now, as ever, feel so thankful to the Brothers of North Bank Lodge for their fellowship. I look forward to every chance I get to spend time with and serve my brothers! On Saturday April 14, North Bank Lodge will be hosting the members of Washington Lodge #4 for the conferral of two EA degrees. At North Bank's next stated communication on April 16, 2012, North Bank will be conferring the Master Mason degree on Brother James Ryan Copeland. All local Masons are welcome to both events, and are encouraged to attend! Come on out; we'd love to see you there!